Producer Daniel Pitt, of Cambridge Junction, explains the rationale behind Night Watch, a round the clock festival of performance. I’m not going to be sleeping on the night of 14th June. At Cambridge Junction, I’ve produced a new festival, called Night Watch, which is going to be otherwise occupying my, and lots of other people’s attention. It’s a 24 hour, non-stop performance festival taking place in (and around) our arts centre here in Cambridge. Year round, we present a programme of contemporary performance that usually starts at 7.30 and lasts about an hour because in these times of Edinburgh Fringe dominance and short attention spans, that’s all that audiences expect. If the show’s an hour then it counts as an evening out, but if it’s 40 minutes then it’s not ‘value for money’. Or something. However, ideas don’t always fit into neatly packaged lengths, and sometimes the emotional impact of a performance requires a bit of endurance on the part of both performers and audience. We want to be able to present the products of these ideas in Cambridge, for people to experience them, and to do so requires creating a context that allows for this, makes it enticing. In Cambridge we’re famous for our club nights which close at 6am – why stop early for theatre? I’m interested in how a festival can be an event in itself rather than just a selection of standalone shows. An event that allow for artworks that don’t fit into a traditional slot, and establishes a temporary self-selecting community through its duration. The best music festivals allow audiences to see things they wouldn’t have otherwise know about, because they buy into the name and atmosphere and stumble across other things, and so why shouldn’t that be same for live art? We’ve also been successfully finding new audiences for contemporary work through programming into Cambridge’s existing festivals: science, ideas, food, local arts – and we hope Night Watch builds on this. 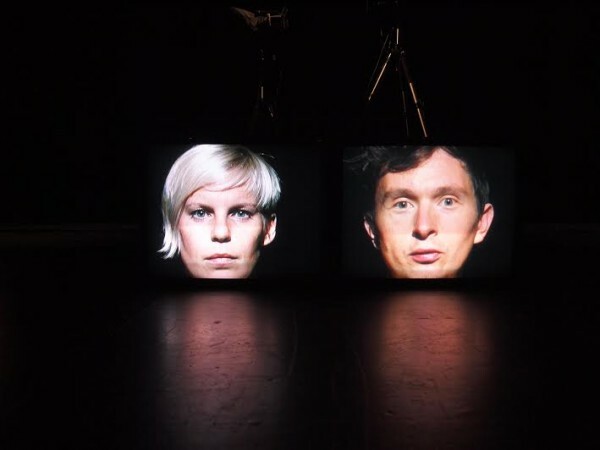 We know it’s not the first through-the-night festival: two one-offs that come to mind are political arts marathon Truth Is Concrete and Leeds’ InXclusion, but I think most would agree that it’s an unusual departure from the usual theatre festival formats. Night Watch is born out of a desire to re-vamp the venue’s old SAMPLED Festival, and to shake things up a little bit for audiences and artists alike. This year, the two day festival has become two days attached together: a full 24 hours curated variously around what might go down well at that time of day or night: on the day of the first England match of the World Cup. What does an audience want to see at midday? What do they want at 2am, after England will either have won or lost at football? What the hell do they want at 4am? What do they want the morning after when they’ve been up all night? And, actually, why should they always get what they want? How do they even know what they want? The festival morphs broadly throughout, opening with the UK premier of Ahilan Ratmanohan’s SDS1 dance/football performance, to instructions on how to make conversation with other people from Nigel and Louise, with a late evening watershed ready for motormouth Christopher Brett Bailey’s THIS IS HOW WE DIE with full rock band, before the football is screened and commentated by the unrivalled combination of Richard DeDomenci and Kim Noble. Who knows what will happen when New York provocateur Ann Liv Young takes to the stage with new show Us. When I saw her last, she molested, sprayed water and spat raw fish at the audience, and that kind of interaction is exactly what every 2am slot needs, obviously. For those going the full night, 4am sees a queer Live Art Lock In curated by Aaron Wright – a cabaret format of the excitingly non-conformist. The morning is relaxed and contemplative with dance to BBC Radio 4’s Woman’s Hour and a look to the future from Deborah Pearson. We have the 5 hour Slap Talk from Action Hero, the UK premier of a Filibuster of Dreams from Australian artist Sarah Rodigari’s toast to the sleeping residents of a city and GETINTHEBACKOFTHEVAN’s Lucy and Jen are compering the entire 24 hours – providing logistical instruction and community coherence. If you make it through to the end, you’ll get a souvenir artwork from LOW PROFILE to commemorate the night. It’s fully possible to stay for the full 24 hours in our buildings: the bar’s open all night, gourmet street food vendors are coming, breakfast is a commission from Lemonade and Laughing Gas and in J1, which is usually our gig and club venue, we’re erecting a huge tepee and filling it with mattresses as a calm space to crash out if/when tiredness takes its toll. The other artists, audiences and venue staff will be experiencing the festival all together, watching together, buzzing together, laughing together, chatting together, flagging together, sleeping together (? )… It’s a communal experience that makes live performance special and I hope Night Watch extends that feeling to the whole festival. Will it work? Well, you’ll just have to spend the weekend in Cambridge and find out. Night Watch takes place at Cambridge Junction from noon Saturday 14th June to noon Sunday 15th June 2014.